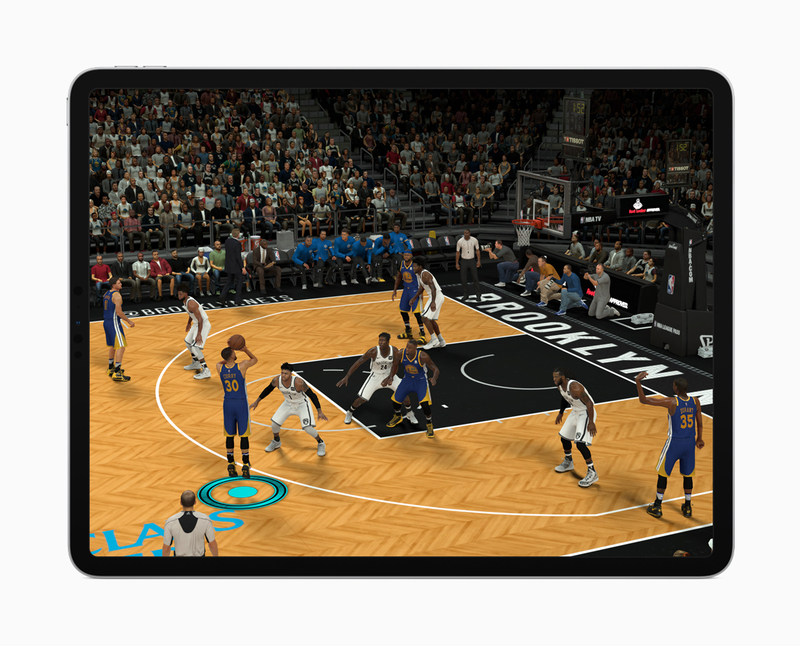 Apple today launched the new iPad Pro with an all-screen design that counts as its most powerful iPad ever. 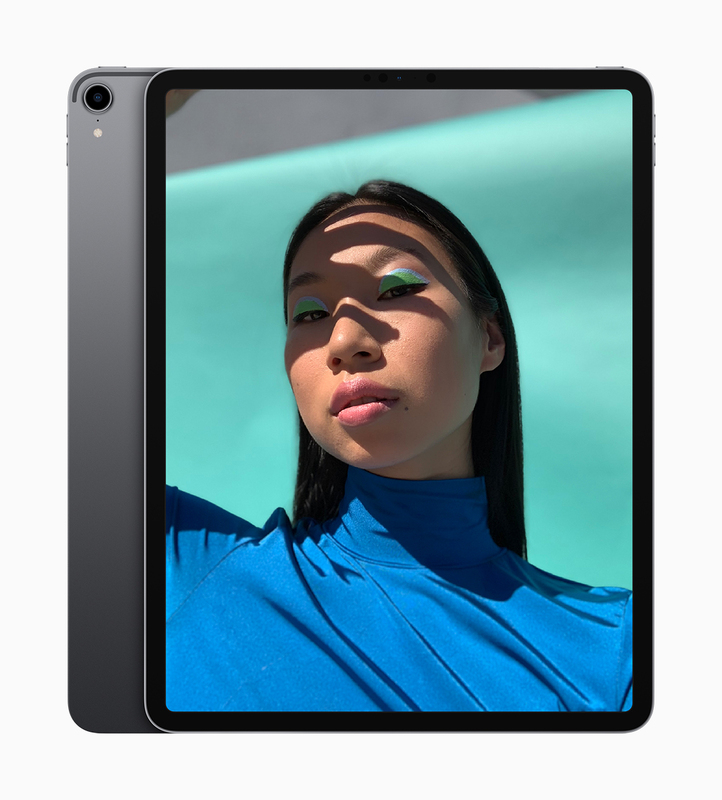 The new device marks the biggest change to the iPad ever with its all-screen design and high performance thanks to a custom chip along with other features such as Face ID, a new USB-C connector, Gigabit-class LTE and up to 1 Terabyte of storage. It sports the A12X Bionic chip which outperforms most PC laptops and stands as the most powerful chip in a tablet that caters for even the most demanding computing tasks such as creation of 3D models and editing of high quality photos among others. The A12X Bionic is built on seven-nanometer technology and features four performance cores and four efficiency cores that cater for up to 35 percent faster performance. It's also fitted with a new performance controller that enables simultaneous use of all eight cores for an up to 90 percent boost during multi-threaded tasks. Apple’s next-generation Neural Engine featured in this new iPad Pro is made for advanced machine learning in fields spanning from photography to augmented reality and completes up to 5 trillion operations per second. It enables fast Face ID that's coming to the iPad for the first time, faster plane detection for AR apps and other features that make use of real-time machine learning. Also featured for the device is the new Apple Pencil and Smart Keyboard Folio available for purchase separately that enable new levels of precision and productivity for users. The second-generation Apple Pencil magnetically attaches to the iPad Pro for wireless charging and pairing. Users can select the right tools for use during tasks through a simple double tap on the Pencil which makes it even more powerful. The new Smart Keyboard Folio serves to protect both sides (front and back) of the new iPad Pro in a simple and light design encompassing a full-size keyboard that never requires pairing or charging. It's easily adjustable for lap and desk use and is very suitable for multi-tasking and typing. 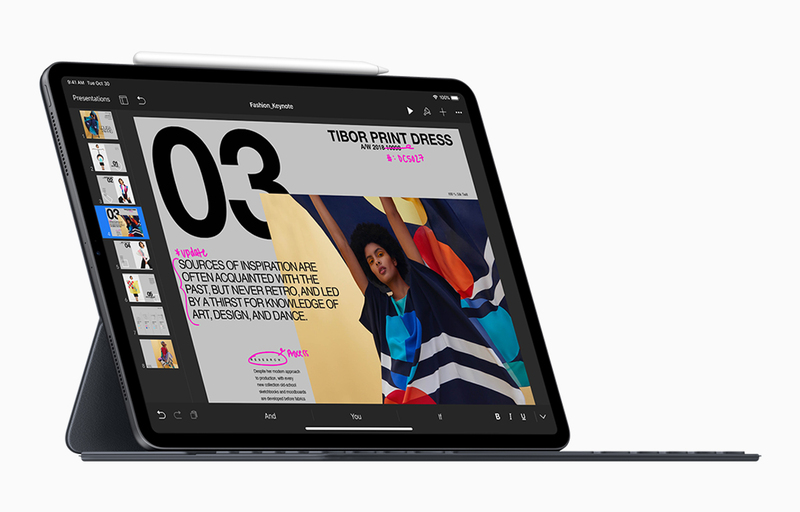 A new USB-C connector for the iPad Pro supports USB 3.1 Gen 2 for high-bandwidth data, transfers at twice the speed to and from cameras and musical instruments and also drive external displays up to 5K while offering power for charging. 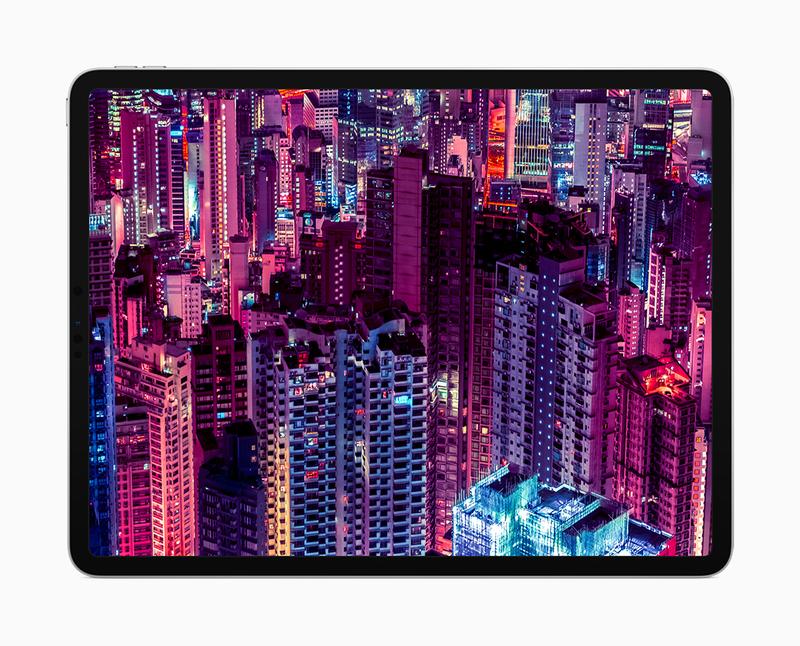 “The new iPad Pro is a huge step forward for powerful, creative, mobile computing; it has an all-new thinner design, speeds through projects with the super-fast A12X Bionic chip and unlocks with a glance using Face ID in any orientation — while you’re sitting or standing, with iPad Pro on your desk or lap, with the new Smart Keyboard Folio and new Apple Pencil,” Philip Schiller, Apple’s senior vice president of Worldwide Marketing stated. 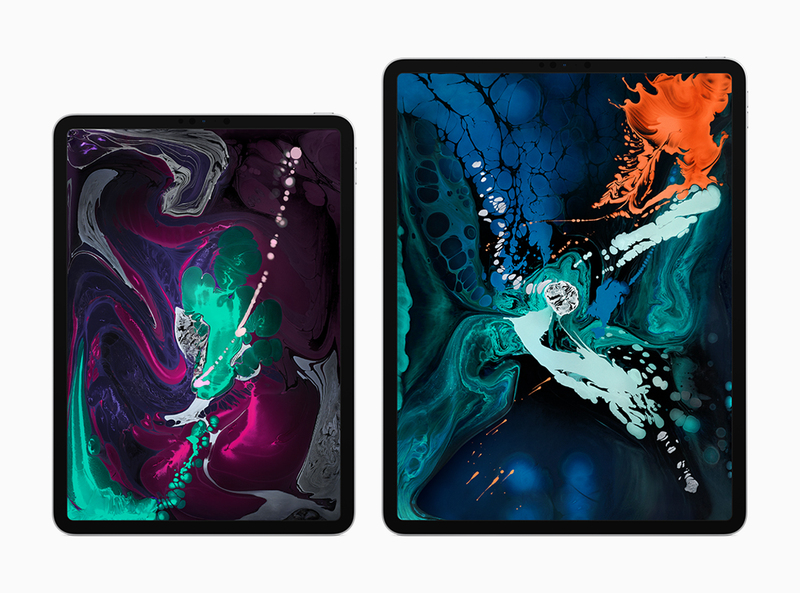 The 11-inch iPad Pro starts at $799 for the Wi-Fi model and $949 for the Wi-Fi + Cellular model while the 12.9-inch iPad Pro starts at $999 for the Wi-Fi model and $1,149 for the Wi-Fi + Cellular model. 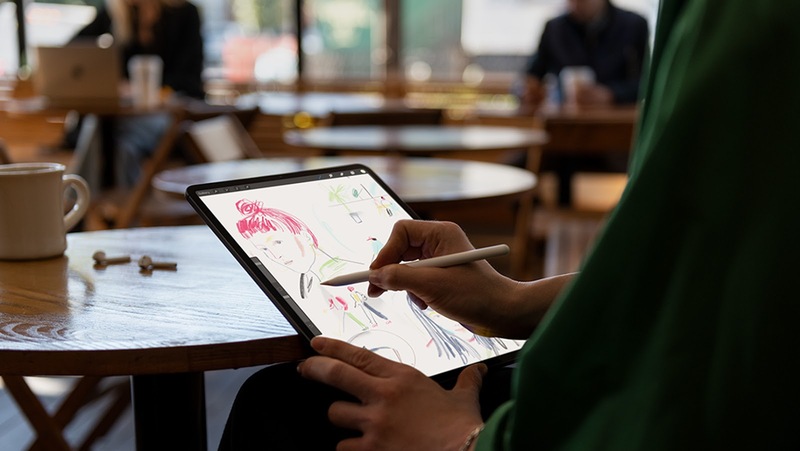 The second generation Apple Pencil costs $129 while the new Smart Keyboard Folio for it comes at $179 for the 11-inch model and $199 for the 12.9 inch model.